If you've found small brown bugs in your house, you've likely responded in one of two ways: total indifference under the assumption that it's nothing about which to worry or absolute panic and fear. While panicking won't solve your problem any more efficiently, your treatment plan will depend on the type of brown bugs you have in your home. 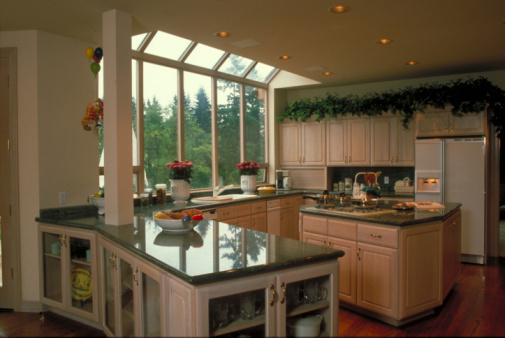 Depending on which bugs have infested your home, your extermination regimen can include anything from cleaning your kitchen to hiring a professional to spray over the course of several months. Identifying which bugs are in your home will help you determine which plan is needed for you. If you're freaking out over bugs you've found in your home, try not to worry too much because finding bugs inside a home is common and can happen in even the cleanest and newest spaces. If you have pets that go outdoors, the first bugs to rule out are fleas. Tiny and brown or black in color, fleas are hard to spot since they rarely stay in one place for too long, but they can often be found deep in the fur of cats and dogs and living in or around bedding on which those animals sleep. Ticks are also sometimes seen in homes with pets and are small and dark brown with teardrop-shaped bodies. Cockroaches are also somewhat common bugs to find in the home, especially if you live in a warm climate or a large apartment building with other tenants. Also known as water bugs and palmetto bugs, cockroaches vary in size depending on the breed and age, but all are easily identified as a bug with long antennae and six legs. Roaches are reddish brown and can usually be found in areas with food or pipes, like a kitchen or bathroom. Some bugs like weevils, flour beetles and drugstore beetles live in and feed off certain types of food. All of these small brown beetles infest and lay their eggs in dry goods including bags of flour, containers filled with dried herbs or spices and boxes of dried pasta or beans, among others. Flour and drugstore beetles are small, light brown and oblong in shape, while weevils are dark brown and have hard, wide shells and long heads that form into a snout. If you live in a large city prone to bedbug infestations, or if you've ever had bedbugs before, you may worry that you have an infestation on your hands. While it's absolutely essential that you take all treatment measures in the case of a bedbug outbreak, you should also rule out the possibility of other similar-looking bugs first. Spider beetles, black carpet beetles and book louse are all somewhat similar to bedbugs in size, shape and color but are much less intensive to manage and treat. One way to help you determine which types of bugs you have in your home is to look at the bite patterns they leave behind. Fleas will typically bite people around the ankles or lower part of the body and leave very small, red marks. Bedbugs tend to bite in a straight line of three bites that can usually be found across a person's back or around the ribs. Bedbugs are hard to spot, as they rarely come out during the day, but if you do see one, it will look reddish brown and small with a football-shaped body. 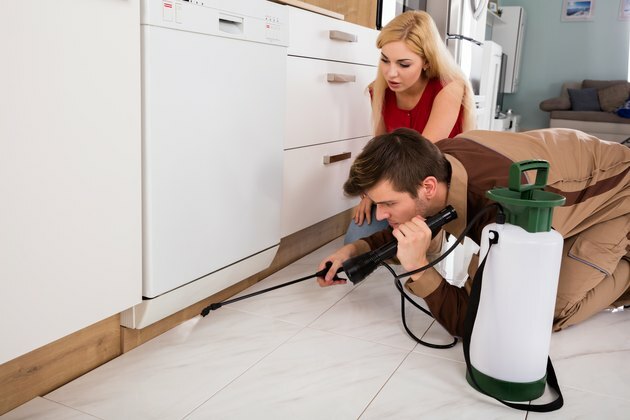 Finding one bug is usually nothing about which to worry, but finding many of the same bugs over time can indicate an infestation and must be handled if you want to get rid of them. Whatever type you have in your house, bugs must be treated, but unfortunately, not all treatments are created equal. For example, if you have a flea infestation, you'll have to treat the source of the fleas (your dog, cat or even your yard) along with the interior of your home multiple times through laundering, vacuuming and spraying infested surfaces. If roaches are the problem, a deep clean may be in order. If you have beetles living in your pantry, you'll need to get rid of whatever food they are living in and feeding off, like cereal boxes or bags of flour. Going forward, be sure to store any perishable items in which these bugs thrive inside of an airtight glass or plastic container or jar and check them regularly for signs of infestation so you can tackle the problem before it starts to spread.